NEW! 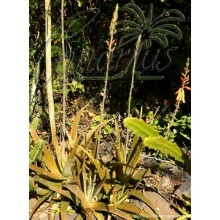 - Cont.= 8,5 cm - One of the most unusual crassulaceae, with "upside-down" leaves. 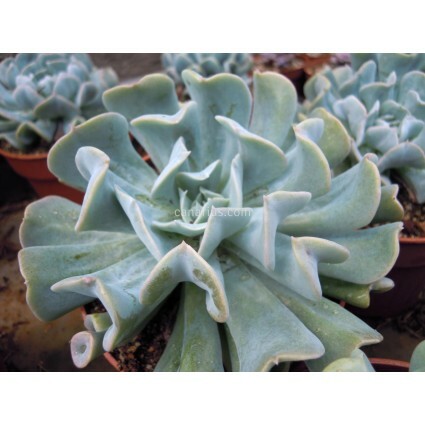 It is an odd leaf form appeared in cultivation in California from Echeveria runyonii, a species with normally shaped leaves of a a pale-blue to white-blue colour. 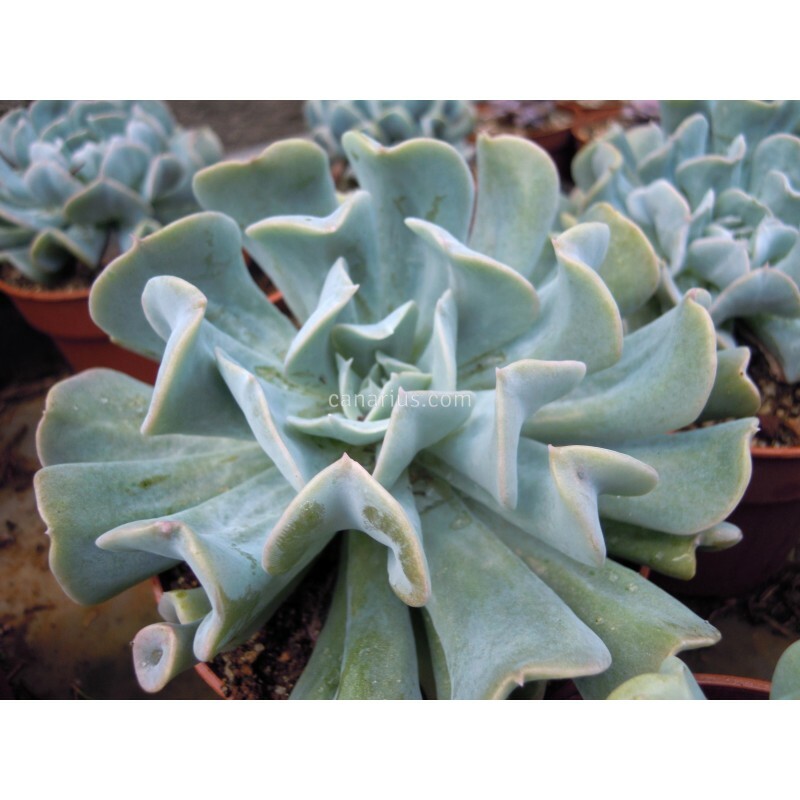 Echeveria runyonii, is a pale blue to white-blue leaf plant with normal shaped leaves. One of the most unusual crassulaceae, with "upside-down" leaves. 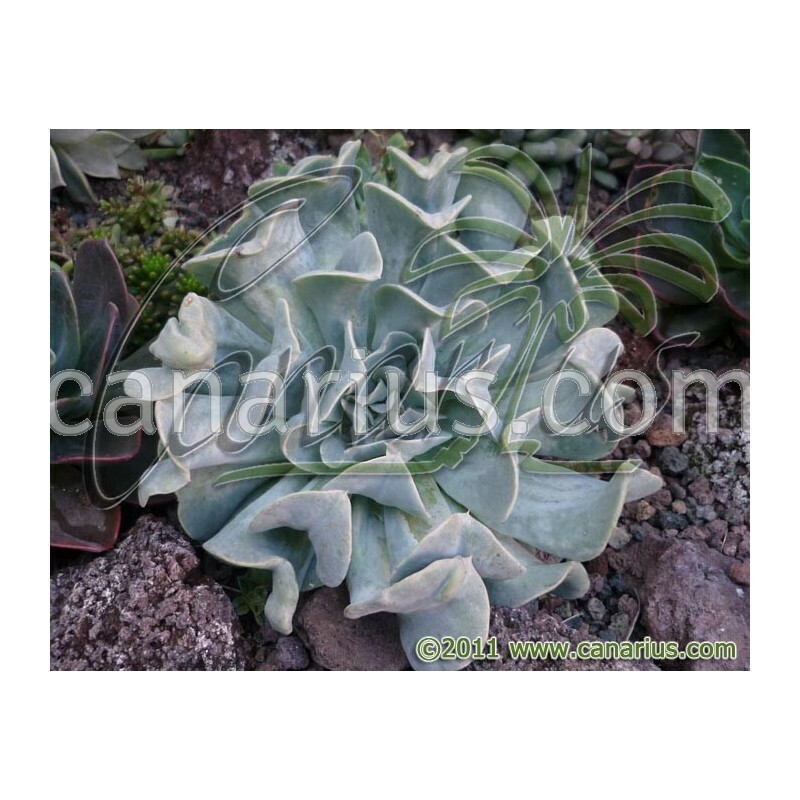 It is an odd leaf form appeared in cultivation in California from Echeveria runyonii, a species with normally shaped leaves of a a pale-blue to white-blue colour. 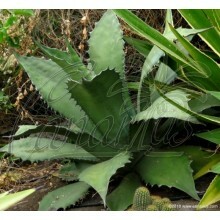 However, cultivar Topsy-Turvy is much more popular than the wild species, because of the unusual leaves. 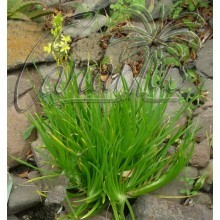 It is a profuse offesetter and can create large mounds of densely crowded plants. 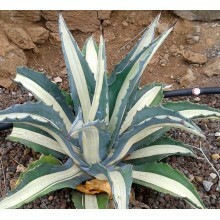 The largest rosettes can attain 25 cm in diameter. Showy bright orange flowers on tall arching racemes, usually in Autumn.